Congratulations to Diane Bauer, Head Start/Early Head Start Assistant Director, for 20 years of service with OACAC! 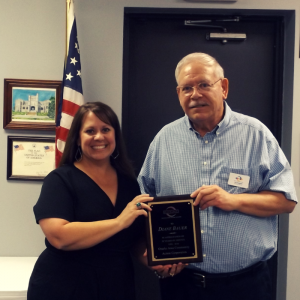 Diane was recognized at our area board meeting on 9/25/18 and she is pictured below with Executive Director, Carl Rosenkranz. Our many thanks to Diane for her years of service to children and families in the Ozarks.